We have known for some time that , Brendan Fraser will be starring in the series as the voice of Robotman, and he will also portray The character in flash back scenes in flashback scenes. What everyone found out this week is that the very awesome Matt Bomer will be joining the cast. Like Fraser Bomer will be providing the voice for Negative Man and will likewise be portraying him in flash backs. Fans at New York Comic Con where treated to a special video greeting from the Atlanta-based setby Bomer, exclusively for those in attendance at NYCC. The addition of a few other big names shows that this show is not going to be a throw away show. You will also have Joivan Wade as Victor Stone/Cyborg, Timothy Dalton as Niles Caulder/The Chief, April Bowlby as Elasti-Woman, Diane Guerrero as Crazy Jane and Alan Tudyk as Mr. Nobody. 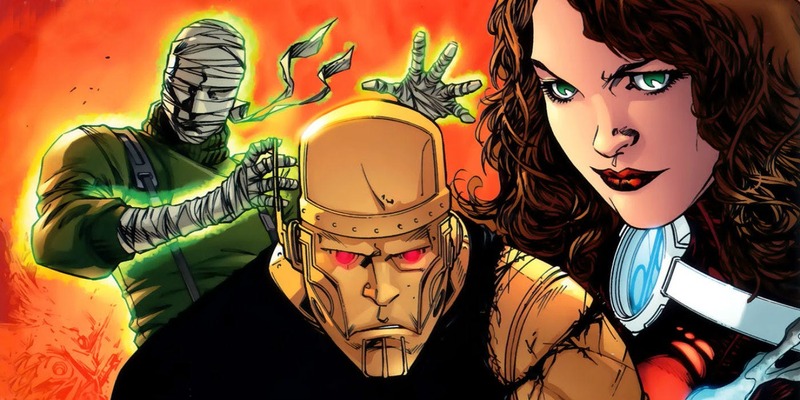 With a strong cast and the complex stories that the Doom Patrol tell so well this is going to be perfect for television and this show alone will be a great reason to get the DC subscription service when it launches.